Children’s Triangulation during Inter-Parental Conflict: Which Role for Maternal and Paternal Parenting Stress? 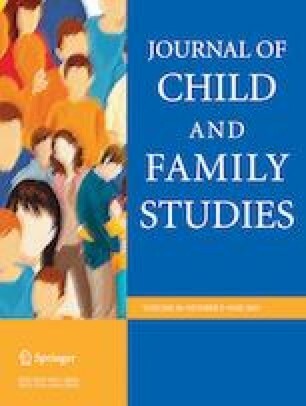 In the literature, how the quality of parent–child relations could affect children’s vulnerability to triangulation is a very limited direction of research. To advance knowledge on this topic, we had two aims: The first was to investigate the relationship between interparental conflict and children’ vulnerability to triangulation by exploring three distinct forms of triangulation (children’s direct participation in parental disagreements, children’s subjective sense of feeling caught in the middle, and triangulation forced by parents). The second aim was to explore the potential bidirectional effects of parenting stress and children’s triangulation by assessing the mediating role of maternal and paternal parenting stress in the association between interparental conflict and children’s triangulation and, conversely, the mediating role of the three forms of children’s triangulation in the association between interparental conflict and parenting stress. One hundred and sixty-eight school-aged children and their parents completed measures of interparental conflict, parenting stress, and children’s triangulation involvement. Results indicated that higher levels of interparental conflict promoted children’s triangulation behaviors and suggested the existence of bidirectional effects between the difficult child dimension of parenting stress and the children’s involvement in their interparental conflict. Conversely, the parental distress dimension of parenting stress seem to be an antecedent of both forced triangulation and feelings of being caught between parents. Results help to advance the understanding of the relationship between interparental conflict and children’s triangulation by examining both parents’ parenting stress and their specific components. EC: designed and executed the study, analyzed data, and wrote the paper. SM: collaborated with the design, collecting data and of their analyses, and writing of the study. PDB: aided in designing the study and wrote part of the discussion. Compliance with Ethical Standards by the Ethic Committee of Catholic University of Milan. Hayes, A. F. (2012). PROCESS: A versatile computational tool for observed variable mediation, moderation, and conditional process modeling. www.afhayes.com/public/process2012.pdf. ISTAT National Demographic Statistics (2018). https://www.istat.it/it/files//2018/12/Report-Reddito-Condizioni-di-vita-2017.pdf.